Transmission Media in Networking is the actual path over which am electrical signal goes it moves starting with one part then onto the next. 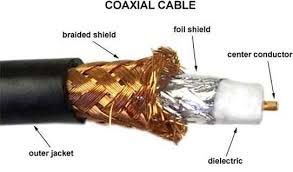 A coaxial cable or coax is a cable, is used in the transmission of audio, video and communication. 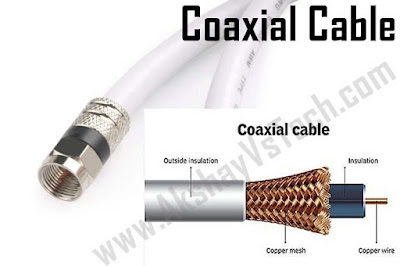 Mainly coaxial cables are used network and broadband cable. 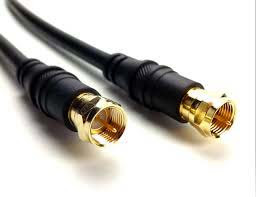 These cables have high bandwidths and greater transmission capacity. 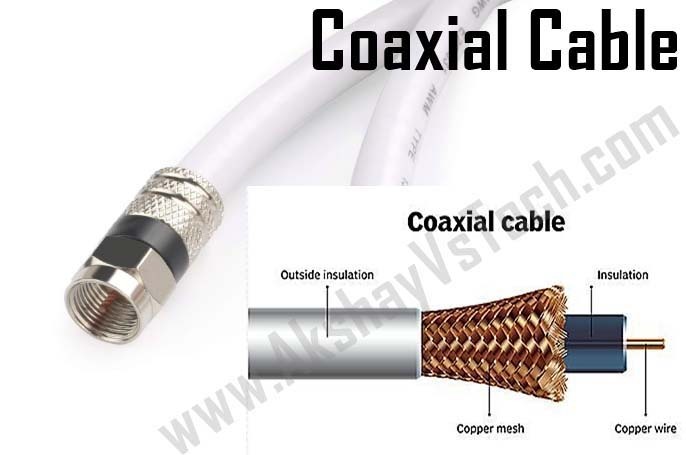 The adjacent figure is of a commonly used coaxial cable. 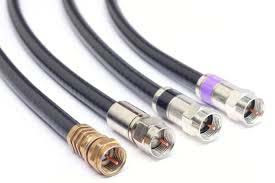 As shown in the figure these cables have a metal male connector end that is screwed onto a female connector. Thicknet, also known as Thick Ethernet or 10Base5. 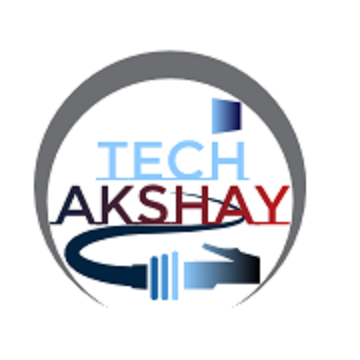 Thinnet also known as Thin Ethernet or 10Base5, are antiquated Ethernet networking technologies. - 200 metres length (actual usage is 185 metres). The number 10: At the front of each identifier, 10 denotes the standard data transfer speed over these media- ten megabits per second ( 10Mbps). The Word Base: Short for BAseband, this part of the identifier signifies a type of network the uses only one carrier frequency for signalling and requiress all network stations to share its use. Digit: shorthand for how long (in metres) a cable segment may be before attenuation sets in. For example, 10Base5 can be no more than 500 meters long. Letter: identifies a specific physical type of cable. For example, the T at the end of 10BaseT stands for twisted-pair. What is Peer-to-Peer & Client-Server Networks?